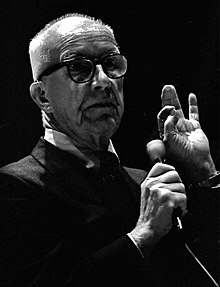 Richard Buckminster Fuller (12 July 1895 – 1 July 1983) was an American philosopher, systems theorist, architect, and inventor, known to many of his friends and fans as "Bucky" Fuller. He created and popularized the terms "Spaceship Earth", "ephemeralization", and "synergetics", and developed numerous inventions, the most famous of which is the geodesic dome. We have inspectors of inspectors and people making instruments for inspectors to inspect inspectors. The true business of people should be to go back to school and think about whatever it was they were thinking about before somebody came along and told them they had to earn a living. I am not a thing — a noun. I seem to be a verb, an evolutionary process — an integral function of the universe. Ninety-nine percent of all that is going to affect our tomorrows is being developed by humans using instruments and working in ranges of reality that are nonhumanly sensible. In Shelter (May 1932), 2 No. 4, 36, and (Nov 1932) No. 5, 108. Cited in Richard Buckminster Fuller, Joachim Krausse (ed.) 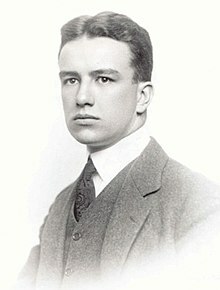 and Claude Lichtenstein (ed. ), Your Private Sky: Discourse (2001), 17; sometimes quoted or paraphrased as "Don't oppose forces, use them." There will come a time when the proper education of children, by a glorified system of spontaneous education of choice, similar to the Montessori System, will be made possible. Children, as well as grown-ups, in their individual, glorified, drudgery-proof homes of Labrador, the tropics, the Orient, or where you will, to which they can pass with pleasure and expedition by means of ever-improving transportation, will be able to tune in their television and radio to the moving picture lecture of, let us say, President Lowell of Harvard; the professor of Mathematics of Oxford; of the doctor of Indian antiquities of Delhi, etc. Education by choice, with its marvelous motivating psychology of desire for truth, will make life ever cleaner and happier, more rhythmical and artistic. Technology paces industry, but there's a long lag in the process. Industry paces economics. It changes the tools, a great ecological change. And in that manner we come finally to everyday life. The politician is someone who deals in man's problems of adjustment. To ask a politician to lead us is to ask the tail of a dog to lead the dog. Relativity is inherently convergent, though convergent toward a plurality of centers of abstract truths. Degrees of accuracy are only degrees of refinement and magnitude in no way affects the fundamental reliability, which refers, as directional or angular sense, toward centralized truths. Truth is a relationship. So long as mathematicians can impose up-and-down semantics upon students while trafficking personally in the non-up-and-down advantages of their concise statements, they can impose upon the ignorance of man a monopoly of access to accurate processing of information and can fool even themselves by thought habits governing the becoming behavior of professional specialists, by disclaiming the necessity of, or responsibility for, comprehensive adjustment of the a priori thought to total reality of universal principles. The everywhere-relative velocities and momentums of interactions, of energetic phenomena of universe, are central to the preoccupations and realizations of the comprehensive designer. The concept of relativity involves high frequency of re-established awareness, and progressively integrating consideration of the respective, and also integrated dynamic complexities of the moving and transforming frame of reference and of the integrated dynamic complexities of the observed, as well as of the series of integrated sub-dynamic complexities, in respect to each of the major categories of the relatively moving frames of reference, of the observer and the observed. It also involves constant reference of all the reciprocating sub-sets to the comprehensive totality of non-simultaneous universe, from which naught may be lost. "The Comprehensive Man", Ideas and Integrities: A Spontaneous Autobiographical Disclosure (1963), 75-76. One of my working assumptions which has been proven successful so often as seemingly to qualify it as a reliable tenet is that A problem adequately stated is a problem solved theoretically and immediately, and therefore subsequently to be solved, realistically. Others have probably stated the principle in many ways. The assumption is that the inevitability of a solution's realization is inherent in the interaction of human intellect and the constantly transformative evolution of physical universe. At first the, only subconsciously apprehended, approaching confluences of complex events make themselves known intuitively within the intellectual weather. Then comes a gradually awakening consciousness of the presence of new families of differentiating-out challenging concepts of every day prominence. It is with these randomly patterning families of separate concepts that evolution is about to deal integratively. As a now specific unitary problem it may be disposed of effectively when and if that unified problem becomes "adequately stated" and thereby comprehensibly solvable. Man is going to be displaced altogether as a specialist by the computer. Man himself is being forced to reestablish, employ, and enjoy his innate "comprehensivity." Coping with the totality of Spaceship Earth and universe is ahead for all of us. We must stop burning up the house to keep the family warm. We have all the technology needed to tap vast cosmic energies of the sun but greedy big business and money drunk government won't allow it because they haven't found a way to place a meter on the sun." 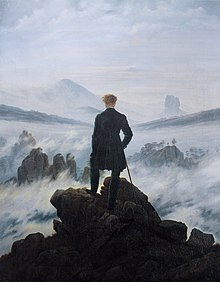 As a consequence of the slavish "categoryitis" the scientifically illogical, and as we shall see, often meaningless questions "Where do you live?" "What are you?" "What religion?" "What race?" "What nationality?" are all thought of today as logical questions. By the twenty-first century it either will have become evident to humanity that these questions are absurd and anti-evolutionary or men will no longer be living on Earth. Einstein, Planck, and other leading scientists said, "We're going to have to reassess and redefine the physical universe." — They defined the physical universe as "an aggregate of non-simultaneous and only partially overlapping transformation events." Our school systems are all nonsynergetic. We take the whole child and fractionate the scope of his or her comprehending coordination by putting the children in elementary schools—to become preoccupied with elements or isolated facts only. Thereafter we force them to choose some specialization, forcing them to forget the whole. ... We may well ask how it happened that the entire scheme of advanced education is devoted exclusively to ever narrower specialization. We find that the historical beginnings of schools and tutoring were established, and economically supported by illiterate and vastly ambitious warlords who required a wide variety of brain slaves with which to logistically and ballistically overwhelm those who opposed their expansion of physical conquest. They also simultaneously DIVIDED and CONQUERED any and all "bright ones" who might otherwise rise within their realms to threaten their supremacy. The warlord vitiated their threat by making them all specialists and reserving to himself exclusively the right to think about and act comprehensively. The warlord made all those about him differentiators and reserved the function of integration to himself. SPACESHIP EARTH: Earth is an automated Spaceship speeding rotatively at 66,000 miles per hour around the sun, which in turn, is on its own course at 6.0 kilometers per second within the Galactic Nebula. The awareness of Earth’s mobile patterning within the cosmos gives the perspective needed to deal with the overall evolutionary event-patterning aboard our spherical space-vehicle Earth, rather than the minute details. The automated events transpiring aboard Earth lend powerful advantages to those who comprehend the automation and attempt to work with it in the most long-term, humanly advantageous ways rather than ignorantly attempting to control or oppose it. Both Earth’s and humanity’s automation are biological. Letter to "Micheal" (16 February 1970), Micheal was a 10 year old boy who had inquired in a letter as to whether Fuller was a "doer" or a "thinker". I live on Earth at present, and I don't know what I am. I know that I am not a category. I am not a thing — a noun. I seem to be a verb, an evolutionary process — an integral function of the universe. Pollution is nothing but resources we're not harvesting. We allow them to disperse because we've been ignorant of their value. But if we got onto a planning planning basis, the government could trap pollutants in the stacks and spillages and get back more money than this would cost out of the stockpiled chemistries they'd be collecting. Margaret Mead gets cross with me when I talk like this because she says people are doing some very important things because they're worried and excited and I'm going to make them relax and stop doing those things. But we're dealing with something much bigger than we're accustomed to understanding, we're on a very large course indeed. You speak of racism, for example, and I tell you that there's no such thing as race. The point is that racism is the product of tribalism and ignorance and both are falling victim to communications and world-around literacy. Statement made in 1974, quoted in People magazine. In Thomas T. K. Zung, "Buckminster Fuller: Anthology for the New Millenium" (2002), 174. Earth, Inc. (1973) ISBN 0-385-01825-8 This is just part of a very long sentence that covers the whole first page, but in this part of the quote, the intention of the entire book is stated. Earth, Inc. (1973) In this passage, Fuller begins to explain why technological progress seems to make great gains in war time and states his view that this is a reflection of advances mainly made in peacetime — wars simply force nations to take notice of their advances in the pure science and then they apply those advances to the war effort. Later in the book Fuller will explain why he thinks war is not necessary to bring advances in the pure sciences into actual production. He uses this to advance the notion that humans can very comfortably live at a high standard of living by "doing more with less." It is one of our most exciting discoveries that local discovery leads to a complex of further discoveries. Each age is characterized by its own astronomical myriads of new, special-case experiences and problems to be stored in freshly born optimum capacity human brains — which storages in turn may disclose to human minds the presence of heretofore undiscovered, unsuspectedly existent eternal generalized principles. The youth of humanity all around our planet are intuitively revolting from all sovereignties and political ideologies. We are now synergetically forced to conclude that all phenomena are metaphysical; wherefore, as many have long suspected — like it or not — "life is but a dream." There is a synergetic progression in Universe—a hierarchy of total complex behaviors entirely unpredicted by their successive subcomplexes' behaviors. It is manifest that Universe is the maximum synergy-of-synergies, being utterly unpredicted by any of its parts. The explicable requires the inexplicable. Experience requires the nonexperienceable. The obvious requires the mystical. Gravity is the inwardly cohering force acting integratively on all systems. Radiation is the outwardly disintegrating force acting divisively upon all systems. Synergy means behavior of whole systems unpredicted by the behavior of their parts taken separately. Synergy means behavior of integral, aggregate, whole systems unpredicted by behaviors of any of their components or subassemblies of their components taken separately from the whole. There is nothing that a single massive sphere will or can ever do by itself that says it will both exert and yield attractively with a neighboring massive sphere and that it yields progressively: every time the distance between the two is halved, the attraction will be fourfolded. This unpredicted, only mutual behavior is synergy. The words synergy (syn-ergy) and energy (en-ergy) are companions. Energy studies are familiar. Energy relates to differentiating out subfunctions of nature, studying objects isolated out of the whole complex of Universe—for instance, studying soil minerals without consideration of hydraulics or of plant genetics. 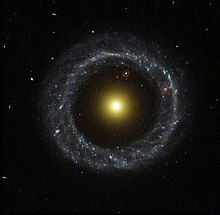 But synergy represents the integrated behaviors instead of all the differentiated behaviors of nature's galaxy systems and galaxy of galaxies. We take one tetrahedron and associate it with another tetrahedron. 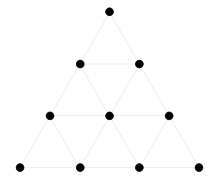 Each of the two tetrahedra has four faces, four vertexes, and six edges. We interlock the two tetrahedra, as illustrated, so that they have a common center of gravity and their two sets of four vertexes each provide eight vertexes for the corners of a cube. They are interpositioned so that the vertexes are evenly spaced from each other in a symmetrical arrangement as a structurally stable cube. Each of those vertexes was an energy star. Instead of two separate tetrahedra of four stars and four stars we now have eight stars symmetrically equidistant from the same center. All the stars are nearer to each other. There are eight stars in the heavens instead of four. Not only that, but each star now has three stars nearer to it than the old stars used to be. The stars therefore interattract one another gravitationally in terms of the second power of their relative proximity—in accordance with Newton's law of gravity. 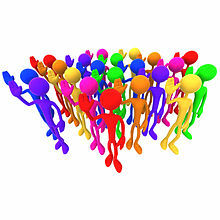 As the masses are getting closer to each other, synergy is increasing their power of interattraction very rapidly. Critical proximity occurs where there is angular transition from "falling back in" at 180-degree to 90-degree orbiting—which is precession. (Gravity may be described as "falling back in" at 180 degrees.) The quantity of energy that ceased to "fall in" is the system's entropy. Critical proximity is when it starts either "falling in" or going into orbit, which is the point where either entropy or antientropy begins. An aggregate of "falling ins" is a body. What we call an object or an entity is always an aggregate of interattracted entities; it is never a solid. And the critical proximity transition from being an aggregate entity to being a plurality of separate entities is precession, which is a "peeling off" into orbit rather than falling back in to the original entity aggregate. This explains entropy intimately. There are progressive degrees of synergy, called synergy-of-synergies, which are complexes of behavior aggregates holistically unpredicted by the separate behaviors of any of their subcomplex components. Any subcomplex aggregate is only a component aggregation of an even greater event aggregation whose comprehensive behaviors are never predicted by the component aggregates alone. There is a synergetic progression in Universe—a hierarchy of total complex behaviors entirely unpredicted by their successive subcomplexes' behaviors. It is manifest that Universe is the maximum synergy-of-synergies, being utterly unpredicted by any of its parts. All the categories of creatures act individually as special-case and may be linearly analyzed; retrospectively, it is discoverable that inadvertently they are all interaffecting one another synergetically as a spherical, interprecessionally regenerative, tensegrity spherical integrity. Geodesic spheres demonstrate the compressionally discontinuous--tensionally continuous integrity. Ecology is tensegrity geodesic spherical programming. We evolute toward ever lesser brain comprehension lags — ergo, toward ever diminishing error; ergo, ever diminishing misunderstandings; ergo, ever diminishing fear, and its brain-lagging painful errors of objectivity; wherefore we approach eternal instantaneity of absolute and total comprehension. The eternal instantaneity of no lag at all. 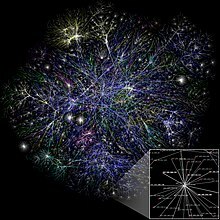 However, we have now learned from our generalizations of the great complexity of the interactions of principles as we are disembarrassed of our local, exclusively physical chemistry of information-sensing devices — that what is approached is eternal and instant awareness of absolute reality of all that ever existed. All the great metaphysical integrity of all the individuals, which is potential and inherent in the complex interactions of generalized principles, will always and only coexist eternally. Something hit me very hard once, thinking about what one little man could do. Think of the Queen Mary — the whole ship goes by and then comes the rudder. And there's a tiny thing at the edge of the rudder called a trimtab. It's a miniature rudder. Just moving the little trim tab builds a low pressure that pulls the rudder around. Takes almost no effort at all. So I said that the little individual can be a trimtab. Society thinks it's going right by you, that it's left you altogether. But if you're doing dynamic things mentally, the fact is that you can just put your foot out like that and the whole big ship of state is going to go. So I said, call me Trimtab. When I thought about steering the course of the "Spaceship Earth" and all of humanity, I saw most people trying to turn the boat by pushing the bow around. I saw that by being all the way at the tail of the ship, by just kicking my foot to one side or the other, I could create the "low pressure" which would turn the whole ship. 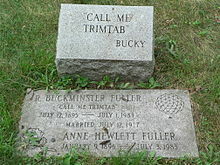 If ever someone wanted to write my epitaph, I would want it to say "Call me Trimtab". Humanity is moving ever deeper into a crisis which has no precedent. It is a crisis brought about by evolution being intent on completely integrating differently colored, differently cultured, and intercommunicating humanity, and by evolution being intent on making integrated humanity able to live sustainedly at a higher standard of living for all than has ever been experienced by any. Probably ninety-nine percent of humanity does not know that we have the option to make it ; we do. It can only be accomplished, however, through a Design Science Revolution. Those in supreme power, politically and economically, aren’t yet convinced that our Planet Earth has anywhere nearly enough life support for all humanity. They assume it has to be either you or me, that there is not enough for both. Those with financial advantage reason that selfishness is necessary and fortify themselves even further. Neither the great political or financial powers of the world nor the population in general realize that the engineering-chemical-electronic revolution now makes it possible to produce many more technical devices with ever less material. We can now take care of everybody at a higher standard of living than anybody has ever known. It does not have to be “you or me,” so selfishness is unnecessary and war is obsolete. This has never been done before. Only twelve years ago technology reached the point where this could be done. Since then it has made it ever so much easier to do. This is not a visible revolution and it is not political. You’re dealing with the invisible world of technology. Politics is absolutely hopeless. That’s why everything has gone wrong. You have ninety-nine percent of the people thinking “politics,” and hollering and yelling. And that won’t get you anywhere. Hollering and yelling won’t get you across the English Channel. It won’t reach from continent to continent; you need electronics for that, and you have to know what you’re doing. Evolution has been at work doing all these things so it is now possible. Nobody has consciously been doing it. The universe is a lot bigger than you and me. We didn’t invent it. If you take all the machinery in the world and dump it in the ocean, within months more than half of all humanity will die and within another six months they’d almost all be gone; if you took all the politicians in the world, put them in a rocket, and sent them to the moon, everyone would get along fine. We’re not just dealing in willingness. Humanity has to qualify to survive. You have to have some confidence. We’re all born naked, with no external equipment and no experience. Therefore we’re terribly ignorant. We’re hungry and thirsy, driven to find food by trial and error. So we’re designed to live by trial and error. Don’t worry about making mistakes. Study your mistakes; admit them, study them, and be terribly excited about them too. If this isn’t true, what is true? There’s a built-in resistance to letting humanity be a success. Each one claims that their system is the best one for coping with inadequacy. We have to make them all obsolete. We need to find within technology that there is something we can do which is capable of taking care of everybody, and to demonstrate that this is so. That’s what geodesic domes are about and that’s what my whole life has been about.Don't fight forces, use them. There is no joy equal to that of being able to work for all humanity and doing what you're doing well. 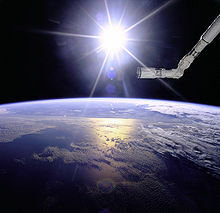 It is now highly feasible to take care of everybody on Earth at a ‘higher standard of living than any have ever known... It is a matter of converting the high technology from weaponry to livingry. What humans have spontaneously identified as good and bad — or as positive and negative — are evolutionary complementations in need of more accurate identifications. It is now highly feasible to take care of everybody on Earth at a ‘higher standard of living than any have ever known.’ It no longer has to be you or me. Selfishness is unnecessary and henceforth unrationalizable as mandated by survival... It is a matter of converting the high technology from weaponry to livingry. Neither the great political and financial power structures of the world, nor the specialization-blinded professionals, nor the population in general realize... that it is now highly feasible to take care of everybody on Earth at a higher standard of living than any have ever known. It no longer has to be you or me. Selfishness is unnecessary and henceforth unrationalizable as mandated by survival. War is obsolete. It could never have been done before. Only ten years ago... technology reached the point where it could be done. Since then the invisible technological-capability revolution has made it ever easier so to do. It is a matter of converting the high technology from weaponry to livingry. The essence of livingry is human-life advantaging and environment controlling. With the highest aeronautical and engineering facilities of the world redirected from weaponry to livingry production, all humanity would have the option of becoming enduringly successful. All previous revolutions have been political—in them the have-not majority has attempted revengefully to pull down the economically advantaged minority. If realized, this historically greatest design revolution will joyously elevate all humanity to unprecedented heights. This book is written with the conviction that there are no "good" or "bad" people, no matter how offensive or eccentric to society they may seem. . . You and I didn't design people. God designed people. What I am trying to do is to discover why God included humans in Universe. All of humanity is in peril of extinction if each one of us does not dare, now and henceforth, always to tell only the truth, and all the truth, and to do so promptly — right now. It is the integrity of each individual human that is in final examination. On personal integrity hangs humanity's fate. You can deceive others, you can deceive your brain-self, but you can't deceive your mind-self — for mind deals only in the discovery of truth and the interrelationship of all truths. The cosmic laws with which mind deals are noncorruptible. Cosmic evolution is omniscient God comprehensively articulate. There are no solids. There are no things. There are only interfering and noninterfering patterns operative in pure principle, and principles are eternal. Principles never contradict principles. . . . The synergetic integral of the totality of principles is God, whose sum-total behavior in pure principle is beyond our comprehension and is utterly mysterious to us, because as humans — in pure principle — we do not and never will know all the principles. You have to decide whether you want to make money or make sense, because the two are mutually exclusive. I do not look upon human beings as good or bad. I don't think of my feet as a right foot and a wrong foot. … I am a student of the effectiveness of the technological evolution in its all unexpected alterations of the preoccupations of humanity and in its all unexpected alterings of human behaviors and prospects. Corporations are neither physical nor metaphysical phenomena. They are socioeconomic ploys — legally enacted game-playing — agreed upon only between overwhelmingly powerful socioeconomic individuals and by them imposed upon human society and its all unwitting members. I am not optimistic or pessimistic. I feel that optimism and pessimism are very unbalanced. I am a very hard engineer. I find the audiences very excited. But then they come and say to me, "Your optimism has brushed off on me. I didn't know we had an option. I feel so much better." They say, "Your optimism." And I am not optimistic or pessimistic. I feel that optimism and pessimism are very unbalanced. I am a very hard engineer. I am a mechanic. I am a sailor. I am an air pilot. I don't tell people I can get you across the ocean with my ship unless I know what I'm talking about. I never try to tell anybody else what to do, number one. And number two, I think that's what the individual is all about. Each one of us has something to contribute. This really depends on each one doing their own thinking, but not following any kind of rule that I can give out, any command. We're all on the frontier, we're all in a great mystery — incredibly mysterious. Each one possesses exactly what each one is working out, and what each one works out relates to their particular set of circumstances of any one day, or any one place around the world. Doing the right things for the wrong reasons is typical of humanity. Precession — not conscious planning — provides a productive outcome for misguided political and military campaigns. Nature's long-term design intervenes to circumvent the shortsightedness of human individuals, corporations, and nations competing for a share of the economic pie. Fundamentally, political economists misassume an inadequacy of life support to exist on our planet. Humanity therefore competes militarily to see which political system... is fittest to survive. In slavish observance of this misassumption, humans devote their most costly efforts and resources to "killingry" — a vast arsenal of weapons skillfully designed to kill ever more people at ever-greater distances in ever-shorter periods of time while employing ever-fewer pounds of material, ergs of energy, and seconds of time per killing. "Less is more" is often misattributed to Fuller or to Ludwig Mies van der Rohe and it has become a prominent motto for minimalist philosophies. It was actually used much earlier in Robert Browning's "Andrea del Sarto" (1855), and the similar German phrase "minder ist oft mehr" by Christoph Martin Wieland in Der Teutsche Merkur (1774). The expression "...doing more with less" is part of Fuller's definition of Ephemeralization. This book is his bible… the distilled wisdom of a lifetime spent contemplating the universe from angles and directions never before suspected. Fuller … has better claim to the title of polymath than any man since Leonardo. I have learned never to reject one of Fuller's outrageous statements without careful consideration, and even hesitated to call "Sum of angels around each vertex" in the rough manuscript a misprint. The truth has usually turned out far stranger than Buckminster Fuller! This page was last edited on 3 April 2019, at 10:22.